"Just forget about the ice!" is the punch line to a story a fellow American in Norway liked to tell about power-walking (in the dark, I might add) with a group of Norwegian women along the treacherously ice-rutted streets of Kristiansand. To understand the joke is to understand something about the Norwegian attitude towards just about any endeavor. For me, this attitude came to teach me a great deal about knitting. For the 12 months I lived in Norway, I traveled extensively with my husband to large towns, remote fishing villages and exotic outposts throughout the country. We ventured far beyond the Arctic Circle encountering Polar bears, seals, reindeer and moose and, always, no matter how isolated or remote, one could find yarn and knitting supplies side by side with other basic needs at the local grocery or hardware store. 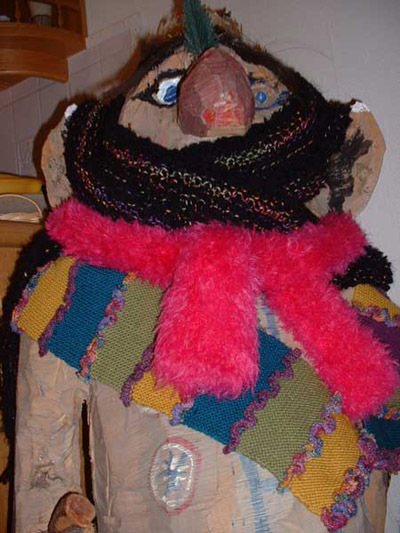 Here, where children seem to emerge from the womb with knitting needles in hand, knitting is not a craft for otherwise idle hands. It is a practical necessity for a rugged life where many hours of each day are spent outdoors. Knitting books and magazines have been my dependable guides to learning the craft of knitting since I began four years ago. Cables, sock heels, intarsia, fair isle, even twined knitting -- it seemed I could successfully teach myself everything I needed to know as long as I was armed with well-written and illustrated instructions. 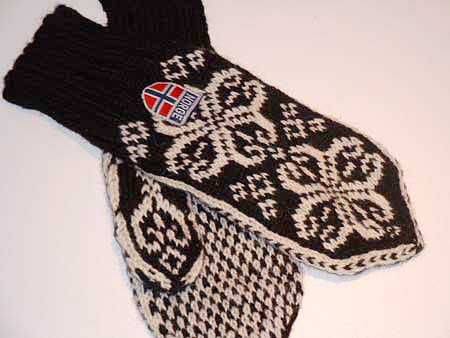 Accustomed as I was to reading patterns written in the U.S., Norwegian patterns seemed to be missing directions. At first I blamed my novice language skills and spent what seemed like hours writing out word-for-word translations. But, no. There WAS something missing in these patterns. A hat pattern instructed me to decrease for the crown until X number of stitches remained. The number of stitches to decrease per round remained a mystery. Should I decrease every round? Every other round? The directions were mute on these details. A sweater pattern was a bit more helpful in providing the numbers for increases and decreases, but lacked any direction for the best method of adding or subtracting stitches. SSK? Slip stitch, knit 1, pass slipped stitch over? Or, simply knit two together? Then, there was the pillow pattern that gave no hint as to whether it should be assembled before or after knitting the all-around border. After hearing my friend's "forget-about-the-ice" story, it occurred to me to view these curious pattern omissions in a larger context. After all, Norwegian culture is nothing if not grounded in the concept of common sense. My American friend was not being admonished to conquer her fear of falling on the ice by pretending, in some Zen-like manner, that the ice was not there. No, not at all. Instead, she was experiencing a typical Norwegian reaction to having the obvious pointed out to them. "Yes, there is ice," they might just as well have said, "and if you're not prepared to walk over it, why are you here?" It's an attitude that's demonstrated in their knitting patterns, too. "Yes, you obviously have to increase your stitches, and if you can't figure out the best way to do so, why are you knitting this garment?" With a bit of analysis, common-sense logic and a hearty dose of trusting what little knitting intuition I had acquired in four short years, I learned to fill in the blanks on my own with these Norwegian patterns -- and my knitting has been forever changed as a result. Oh, I still follow pattern directions, but not slavishly. If my gut feelings tell me that something just looks wrong, or if a pattern direction sounds wrong, I'm no longer afraid to abandon ship or take charge of my knitting by making changes that vary from the pattern as written. I pay closer attention to my yarn and try to determine what it is that the fibers wish to do naturally. How much elasticity does the yarn have? How can I work a particular yarn to its best advantage? And, I pay close attention to the most obvious element for any knitted object -- the numbers in my gauge swatch. Recently, I knit my very first garment without any pattern at all -- an asymmetrically shaped vest, knit from a variety of yarns in my stash. It felt a bit like speed-walking on a dark, icy street in Norway. 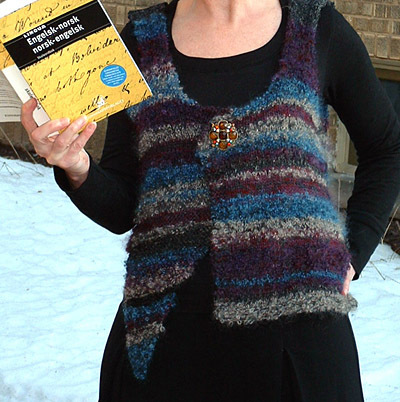 When she isn't conjugating Norwegian verbs, Anne Landre writes, knits and works from her native home in Milwaukee, Wisconsin. Her (almost) daily rants and raves can be followed at threadingwater.com.